Think of a view on a crisp autumn day with puffy fair-weather clouds. 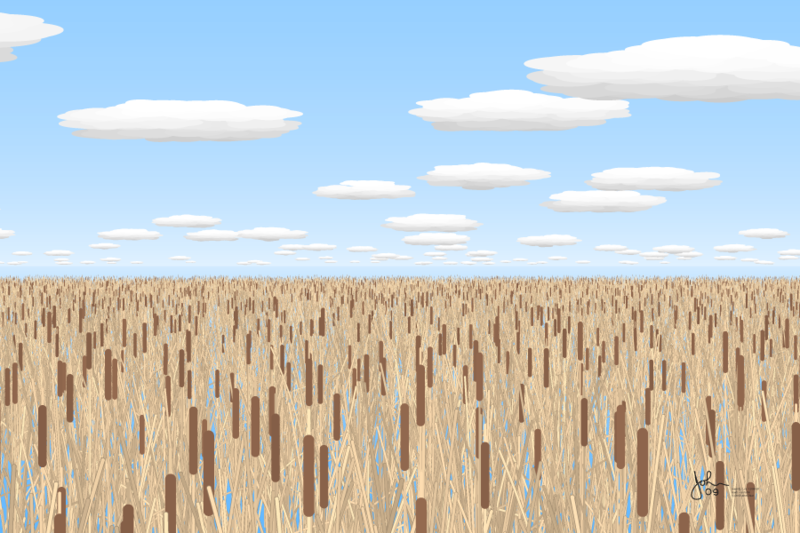 You are paddling through a reed bed on the edge of a large lake and this is what you see. You can imagine this as the view from a canoe, or from a duck-hunting boat. This image is an effort to capture the concentrated experience of a reedy northern lake in tawny autumn.